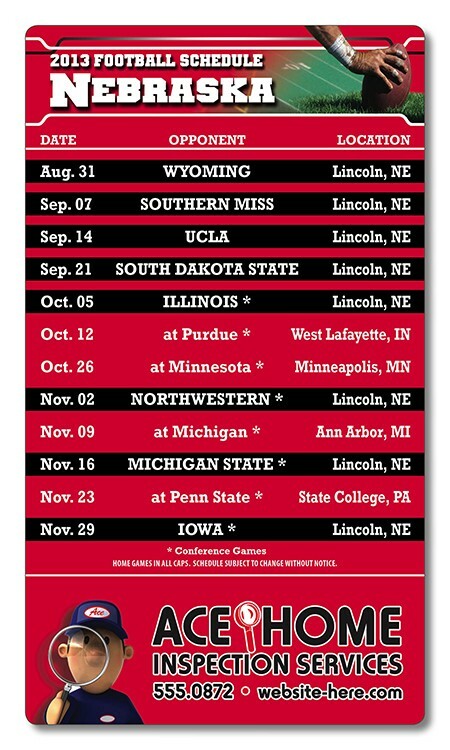 Rectangle shape football schedule magnets keep your message in front of your clients. Price includes printing in full-color (four color process) on one side. Exact color matches, metallic and fluorescent colors not available in full-color. Magnets are not intended for outdoor use. Write-on/Wipe-off surface not available. Final magnet size is 3.875 x 6.75.